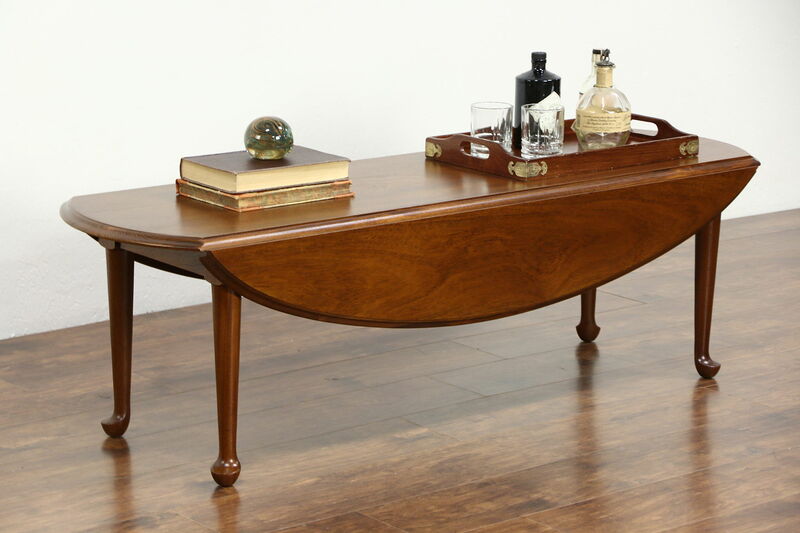 Signed "Tidewater Collection by Morgantown," a classic oval dropleaf coffee or cocktail table is about 25 years old. The restored finish is in excellent condition on walnut. Dropleaves can be raised for serving on this American made vintage furniture. Size when closed is 60" long, 18" wide and 18" tall, with both dropleaves raised, width is 35."